Vitamin B12 is an essential nutrient and when injected leads to optimal absorption by the body. This item must be refrigerated upon arrival. You must be a current patient to access this product. To become one please fill out the Medical Intake Form for a wellness consultation. The specific form of water soluble vitamin B12 that is required for your nervous system health and important for vision. 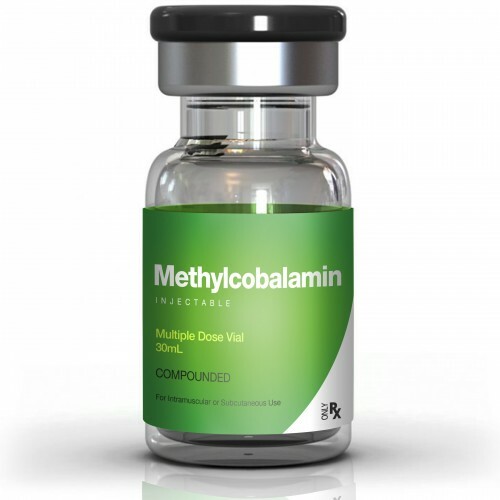 Methylcobalamin Injections are also better absorbed by your tissues for use by your liver in carbohydrate metabolism and used by your brain to regulate melatonin, circadian rhythms and sleep function. Each kit includes: Vial, syringes, alcohol prep pads, detailed Instructions and physician consultation. Methylcobalamin Injections must be refrigerated upon receipt.